Update Friday evening: Sorry, this freebie has ended! The Bonnie Hunt Show is giving 25,000 a free Personalized Cover 8.5×11 20-page Photoworks photo book ($39.95 value) using the coupon code BONNIE. Just search for product #3157086 to make sure you make the right photo book to use this coupon code for. You won’t find out if all 25,000 codes have been used until you checkout with your book, but I’m guessing since you actually have to make the book first these won’t go as fast as you would think. Thanks goes to Surviving The Stores for the code, and to Chris for telling me she made hers, got it for free and got free shipping too! Tip: If your order is $0 then instead of entering a credit card number, choose the PayPal option. You won’t even be asked for your PayPal email address because the order is $0 – just a way to get around entering unnecessary information. Figures, 3 days wasted and multiples uploads and "saving" and 5 tries of the photobook it's GONE. What a waste. I'm so bummed. That site was NOT user-friendly at all. It would've been a nice freebie if it worked. Use code retailmenot for 20% of and free shipping. This is no longer valid!! I worked and worked on my book, now they say the promotion is over. I want to cry! Took me a long time to create mine but unfortunately, the coupon code has reached it's maximum! So sad because I was so excited to see the project I put together. I'm not able to purchase it at this time but hopefully soon! After you place your order, you can go into the project options and "share project" with another e-mail address. That person can then use the code to print out the book too. Works great if you have made one of friends/family and they'd also like the exact same book. Provided it's not intended to be their Christmas gift! Still works as of 2:41pm ET on Friday November 26, 2009. It still worked today, 11/27/09, at 1:22 PM. Great deal Thanks! Thank you soooo much ! It took me less than 2 hours and no trouble at all (except my pictures downloaded in 2 albums, i didn't see it so I had to start over so all of them would fit in 20 pages). Thank you! I started this a couple days ago and was finally able to get it finished today. I was so pleased to see the code still worked. What a blessing! I finally finished mine this morning! What an awesome gift we have been given! It worked! It was slow uploading photos, but other than that it was easy! It took me about 45 mins from start to finish and got a completely free photo book! Great gift idea!! Thank you after two days I was able to finish mine last night. What a neat gift idea for my mom now maybe she'll quit bugging me for pictures of her grandchild. Thank you for the telling us about the free mp3 downloads. Keep the freebies coming!!! Thank you! Worked for me at 12:05AM PACIFIC time on Friday, November 27th! Great deal! Thank you so much! This is a perfect gift for my hubby! Awesome! Thanks for letting us know! I ordered mine (successfully) just now for my dad for Christmas – YAY! Still worked tonight 10:28 pm central time!! Thanks! Thank you 🙂 The code just worked for me. Got mine ordered after hours of editing etc as I'm not very creative…haha. Worked in Firefox – very slow. THANKS for this freebie! !Have a blessed rest of this Thanksgiving day!! Thanksgiving night, 9:15pm EST. It just worked for me, thanks! Thank you! Had a bit of trouble with the website, but it worked!Will make a great Christmas present. It worked. I love it. So I told a friend. It worked for her too. 1:43 pm central time, thanksgiving day and I got this book! Totally FREE!! Thanks for your hard work in finding deals like this for us all! The code is still working! Thanks! You can select the paypal option and then you don't have to put in your credit card number. Still working Thanksgiving Morning. Happy Thanksgiving Everyone! Thank you so much for this post. I made a great book for my Mother-in-Law with pictures from this year. She will thinks its great and will not know it was free. It took a while to create it, but it turned out great and was worth the effort. You do have to enter your credit card #, but it is totally free. Thank you so much for the heads up! My order was placed at 12:43 am pacific time, so still working! I forgot to tell everyone I ordered one day at 1 p.m.! I can't wait to get my book. It looks amazing. I'm a freelance photographer, so I just made a book that I can show clients. This will really help me book some other jobs on the side! Thanks Heather!!! You always save me when I'm in a pinch. I really appreciate your blog. Have an amazing Thanksgiving to you and all of your readers. Wow, the site was a real pain so I would NEVER use them to pay for a book sadly… BUT the finished product (4 hours later due to loading errors on their part) turned out awesome and I am sooo excited to see it! Free book, free shipping -totally worth it! I did a book for my daughter that followed the "Brown Bear, Brown Bear" theme, except "Grandma, Grandma who do you see? ?…I see Uncle Bob looking at me…etc. "Thank you SO much for posting – no way could I have swung this financially right now otherwise – love your blog and deals! 🙂 I also made the free photo cards today! I just finished mine at 1 am. Firefox didn't work well, but Internet Explorer worked fine. I am so thankful that I was able to get it after trying for two days. Thanks for sharing this deal. worked as of 12:50 a.m. eastern time…what a great thanksgiving treat! 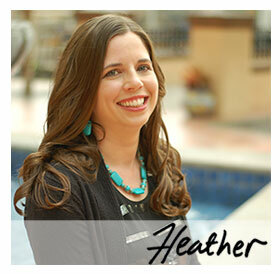 Heather! thankyou verymuch i used this and it took a day for me. I tried several times and when i saw it completed i was thrilled and waiting for the photobook. One thing to ask, it asked me credit card details after giving those details only it went to next page. So am a little bit worried but i saved a copy of billing information. Let's see what happens.Thanks a lot Heather for this freebie am going to present this to my loving husband without spending money as am unemployed. Am going to surprise him. Am excited though.Thankyou somuch. Thanks so much for the freebie info! I just finished mine at 9:30 PST and the code still worked 🙂 It takes a lot of time, but totally worth it! Thanks! Thank you for posting this. I did not have the errors others did but it took me 3 hours to do it! But since it was free, I can't really complain. Thank you so much for letting us know. This is such an amazing freebie! Site was a little difficult to use but was totally worth it all.. It worked first try for me at 11:19 PM! Thanks for this tip! Still working at 10:25 eastern! Thanks! Thanks for the sharing tip! It took awhile to make the book, so I am glad family can order it for free too with out the hassle of creating one. Thank you soooo much for posting this freebie. Still worked at 9:45 pm! You can also email/share your photobook with friends/family who can then order it for free with the same code! Great tip – thanks! I struggled through the process – it was definitely slower than a lot of other sites. It does look like it will turn out great, though, and it was FREE! It finally worked for me too! After almost 28 hours of on and off trying, it went through. If it looks anything like it did online when completed, it will be totally worth it! And what a bargain! Thanks so much for all that you do! Financially, we are struggling this Christmas, but deals like this are helping out tremendously!